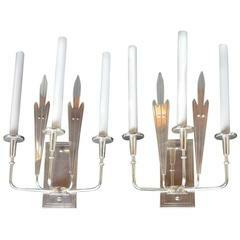 Pair of bronze silver plated candelabra sconces. Pair of Tommi Parzinger silver sconces. 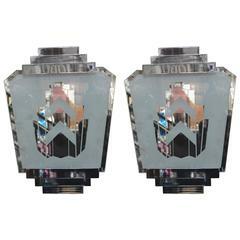 Pair of silver Art Deco sconces. Pair of polished bronze tree sconces. Pair of Sciolari sconces in brass. One socket. Pair of 1940s silver plated bronze Chinoiserie sconces with intricate scenes. Two arms each. Measurements: Height 18" Width 10" Depth 4.5". A pair of French circa 1920s neoclassical style bronze three-arm sconces with classical-motif silver plated figures in relief. Measurements: Height: 13" Width: 10 Depth: 6.5". 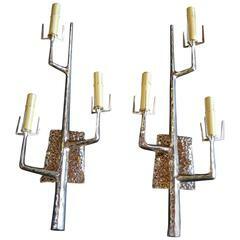 Pair of circa 1940s Italian silver plated sconces in the shape of wheat plants. Measurements: Height 18" Width 8" Depth 8". Pair of 1920s silver plated double light sconces with etched body. Measurements Height: 16.5 in. Depth: 6 in. Width/length: 13 in. 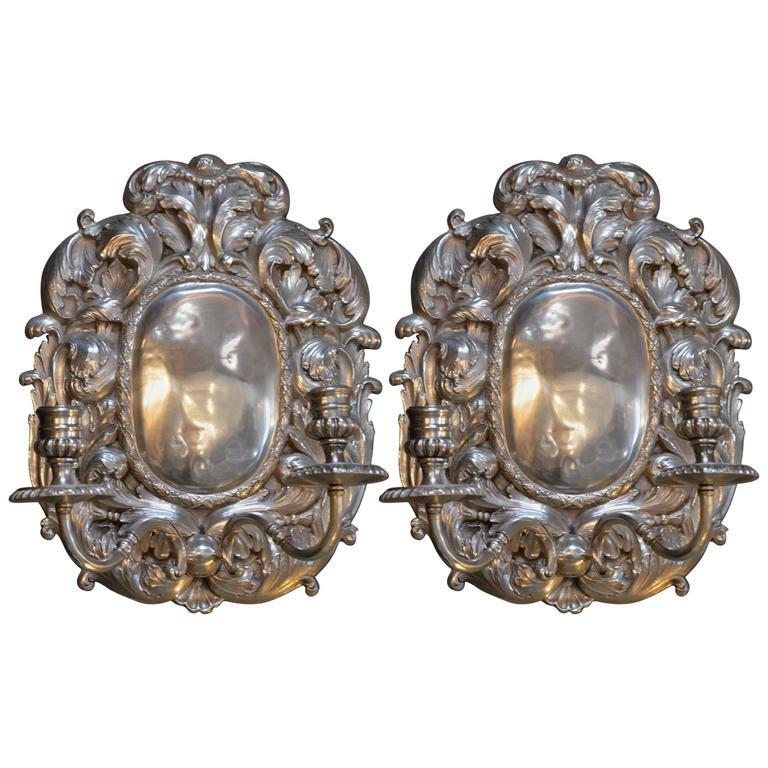 A pair of circa 1920s English silver-plated two-arm sconces. Measurements: Height 10" Width 10" Depth 4". Set of 4 bright wall sconces with knotted ropes in silver metal. French work of the 1940s. These handsome two light sconces in the Robert Adam style feature classical motifs including acanthus leaves, bowknots, and bellflowers.